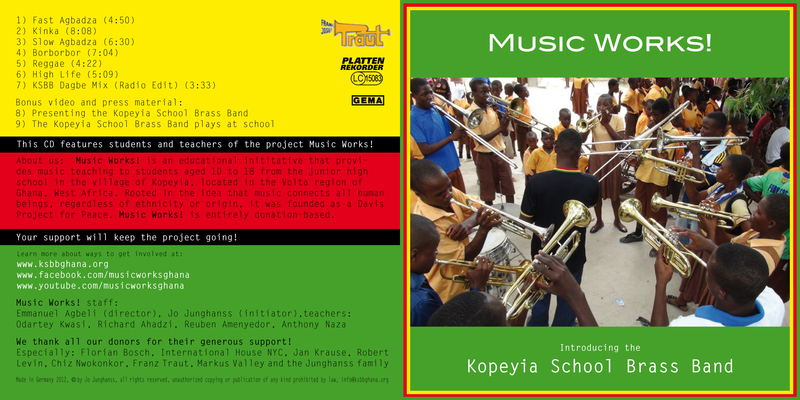 INTRODUCING THE KOPEYIA SCHOOL BRASS BAND! After an intense rehearsal period, the group made a two-day recording session in an improvised field-recording studio in the village in 2012. Mixed and mastered with support of a professional production studio in Germany and as well as in association with the with German radio stations, the recordings turned out ready for release. 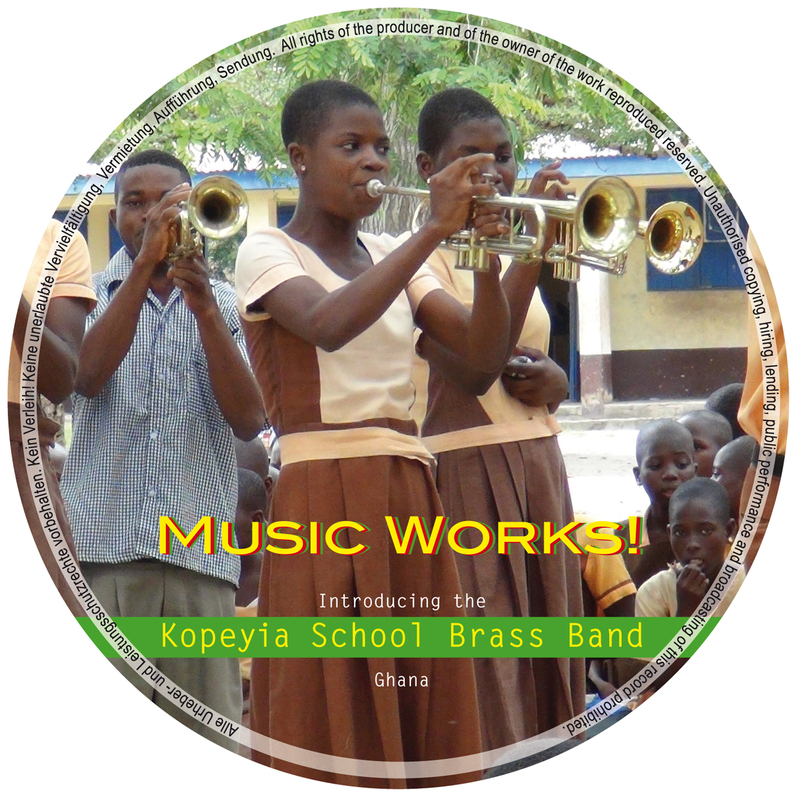 Recently, the group proudly presented the release of their first album entitled “Music Works – Introducing the Kopeyia School Brass Band.” The CD features songs and melodies in the tradition of the Ewe people, usually performed for dance and enjoyment at festivities and celebrations. The rhythm section plays strictly according to the local tradition using up to ten different drums, bells and rattles. The brass sections answers the “calls” by the lead trumpet in a chorus. The album is a moving and enthusiastic document of the children’s study of music.